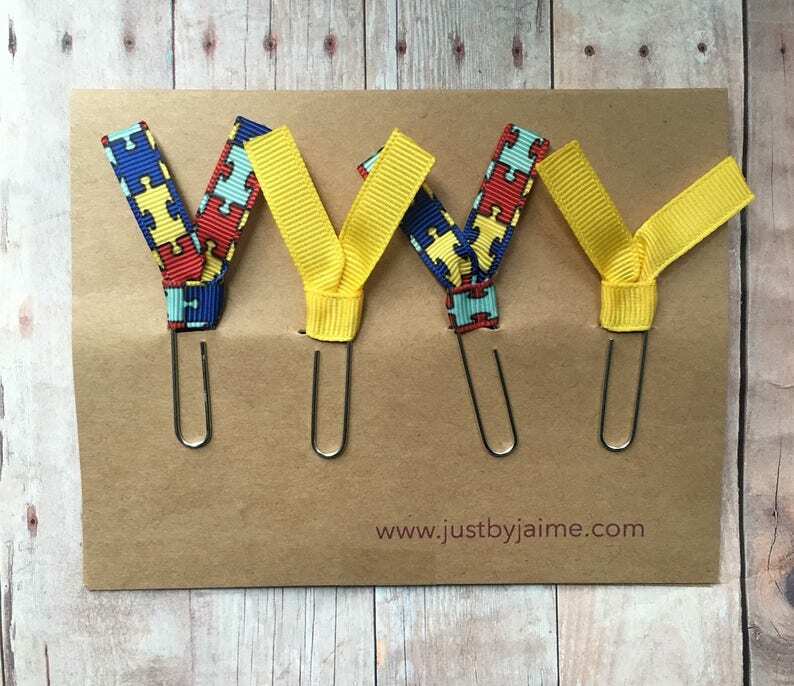 There are 2 puzzle piece & 2 yellow clips per set. Gold or silver toned paper clips are available. This set makes a great teacher, therapist, caregiver, or BCBA gift.